The trains to the Hessentag today (Whit Monday) are running to a special bank holiday timetable. 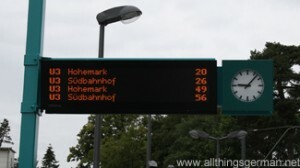 Although this has been extended for the Hessentag, it still means that until 11am the trains only run every 30 minutes. The same timetable will be in operation next Sunday (19th June).